Finding above average Dim Sum in the GVRD is generally as easy as running into a poorly parked car in Richmond (that wouldn't be literally running into one...). 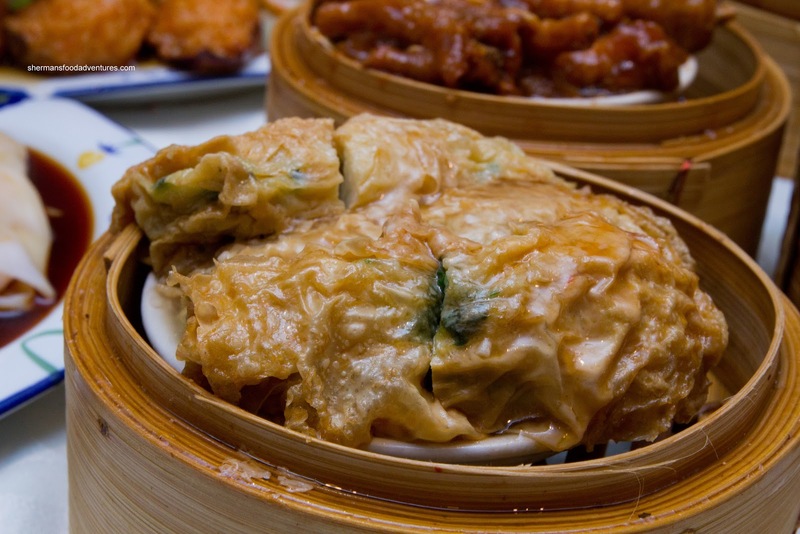 So what is the difference between a decent Dim Sum joint from a great one? Generally, it requires one to separate the restaurants into 3 groups: expensive, moderate and cheap. However, the majority of these restaurants fall within the moderate category. For me, the class of this bunch is Western Lake out on Victoria Drive. 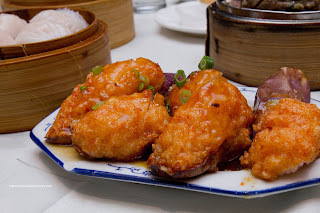 It has the appealing combination of good portions, quality and price. 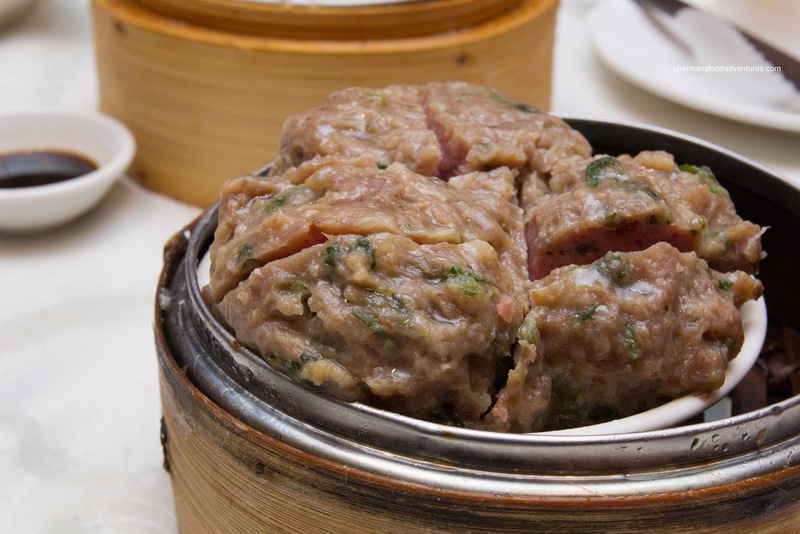 In fact, I would go as far as boldly declaring Western Lake as one of, if not, the best place to have Dim Sum in Vancouver. As such, we decided to take my father-in-law there for his birthday (in addition to Tung Sing Chin for dinner). Of course it meant the mother-in-law would be there too, but for some reason, she has been rather mild-mannered lately. Have traffic laws suddenly been recognized in Richmond too? No, hell has not frozen over... Even though we made an early morning reservation for 10:00am, we still had to wait nearly half-an-hour for a table. For those unfamiliar, this is common occurrence. If you don't make a rez and/or arrive early, you won't get a table. Period. Once seated, we started with dessert first as per usual. 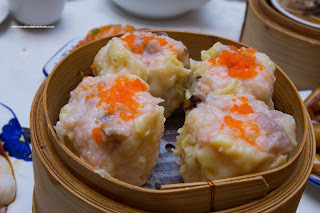 Yah, Dim Sum is a crap shoot in terms of food expedition since they usually serve whatever is available. It's definitely FIFO rather than LIFO. OMG, I made an accounting joke... How lame of me... 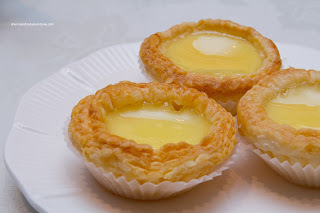 Despite the visuals, the Egg Tart shell was not flaky. Rather, it was somewhat doughy. The custard had a nice consistency while being somewhat sweet. 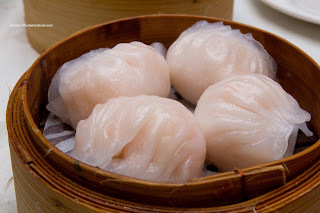 Moving onto more logical items, we had the enormously large Haw Gow (Shrimp Dumplings) These puppies (sorry for the analogy, no puppies were harmed) were chock full of whole snappy shrimp. There was some dense filler, but that didn't bother me that much. The only thing that could've been better was the rice flour dumpling skin, it was a bit thick. Probably the best quality/size - price ratio in town. If the haw gow were impressively sized, the Sui Mai (Pork & Shrimp Dumpling) were even bigger (less round corners, more filling... LOL). These babies (no, no babies were used) were 75% shrimp with a touch of pork. Hence, the texture had a snap and was more like a shrimp dumpling than anything else. The large chunks of shiitake were a welcomed flavour hit. 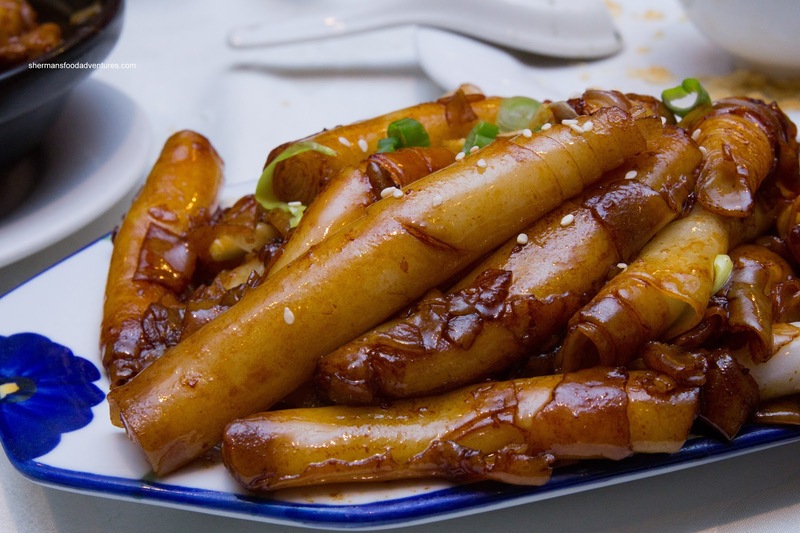 Generally, when there is Bean Curd Skin Roll on the menu, one would expect tenderized ground pork filling with other ingredients such as wood ear mushroom, bamboo shoots and shrimp. However, this one was filled with fish mousse and greens. That made the rolls very light considering the fact that the mousse was airy. Furthermore, the flavours were mild and sweet as a result. A definite departure from the typical, yet good in its own way since it was not too heavy. When the Beef Meatballs arrived, it was shockingly large. So large, in fact, that they barely fit onto the small sauce plate and merely blended into one large meat blob. These were some really impressive balls! Too bad Mijune wasn't around... Anyways, they were as good as they were large. The flavours were balanced with a hint of dried orange peel. The amount of greens was just right while the meat had a nice chewy, bouncy and tender texture. The large theme continued with the Shrimp Mousse Stuffed Eggplant. While the eggplant was moist, yet still firm, the exterior of the shrimp mousse was a touch too chewy. On the other hand, the inside was bouncy and moist. The black bean sauce was pretty ineffective, but the inherent seasoning in the mousse made up for it. The Shrimp Rice Noodle Roll was almost normal as it wasn't as huge as the other dishes. We found the noodle to be slightly thick while still being soft. The whole shrimp on the inside had a nice snap, yet it wasn't really all that seasoned. But then again, that is what the soy sauce is for. 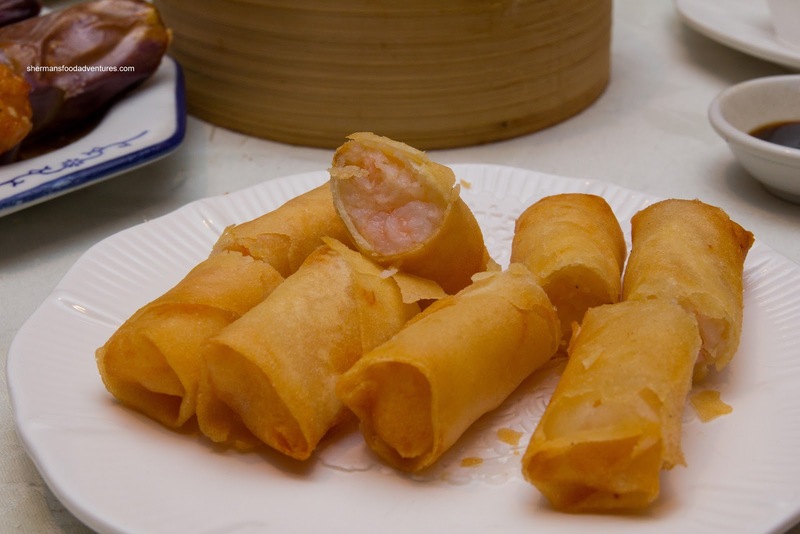 As if we were channeling Bubba Gump, we had more shrimp in the form of Spring Rolls. These were crispy and light with very little greasiness. The darn things were jammed-packed with whole crunchy shrimp. We liked how the shrimp were not overseasoned, allowing the natural flavour to be heard. Okay, moving away from shrimp, the Black Bean Pork Spareribs were pretty good except for the obvious hit of baking soda. Yes, that is pretty necessary to create that tender bounce texture (which was evident here), but the taste of baking soda was too strong. 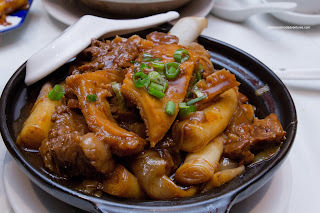 Other than that, the flavours were mild while the pieces were of the meaty bone variety. 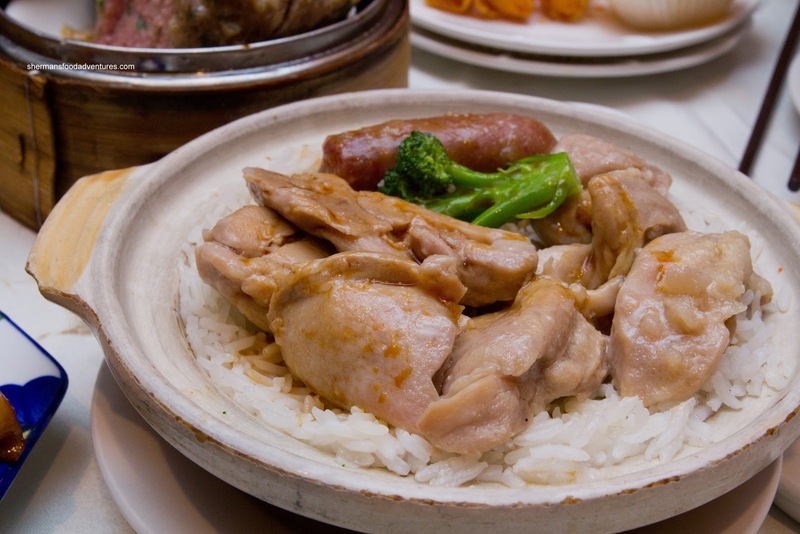 Okay, for the kiddies, we got them the Chicken Rice served in a clay pot. On top of the chewy rice was a plethora of deboned thigh meat with one broccoli floret and half of a Chinese sausage (I bet it had envy over the beef meatball dish...). There was not much to dislike about this dish as the rice was done right as well as the moist chicken. I think there was more chicken than rice. Onto a more unique dish, we had the Offal & Rice Noodle Roll Hot Pot. On top of a considerable amount of plain soft rice noodle rolls, there was tripe, brisket and tendon. 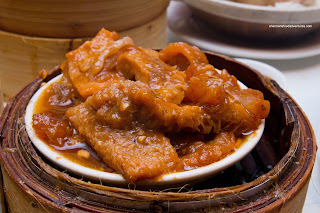 The tripe was tender with some bite, while the tendon was soft and the brisket a bit chewy. 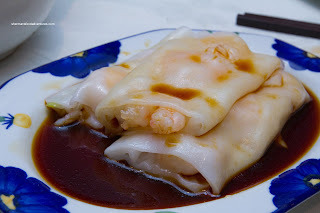 The whole thing was laced with a thick rich braising liquid that provided all the flavour that was needed for the rice noodle rolls. What ultimately made the dish was the fact that all of the offal was braised together including the brisket (ensuring a rich consistent flavour and texture). More often than not, some restaurants get lazy and merely dump the ingredients (that were cooked separately) into a starch-thickened sauce and call it a day. Now for some reason or another, I wasn't paying attention when I chose the offal hot pot because we had already ordered the Soy-Fried Rice Noodle Rolls. So we had a duplication of rice noodle rolls! Unfortunately, these were not as good as the ones in the hot pot. They were stiff and dense. Probably the ones in the hot pot benefited from the sauce and additional cooking. Then, the Honeycomb Tripe arrived! OMG. I really must've had a brain cramp while ordering. Another duplicate of sorts! 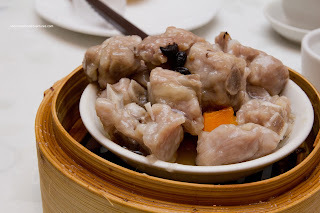 Although quite saucy, the tripe itself was texturally pleasing being soft with some chew. The flavours were sweet with lots of garlic and a touch of spice. 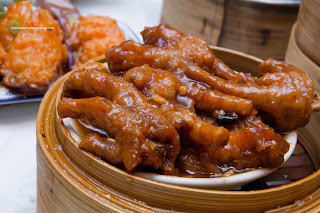 With a similar tasting sauce, the Phoenix Talons (Chicken Feet) were almost flawless (nothing is ever perfect right?). The halved feet were plump and fatty with a nicely fried exterior. The skin was intact and not shriveled with a good amount of soft tendon underneath. Once again, the sauce was sweet with a good hit of garlic. By now we were pretty full, not only because I ordered too much food (and duplicates), but the portions were ridiculously large. Combine that with good food quality and reasonable prices, Western Lake is not only the best of its class, it is possibly the Dim Sum destination in town.